Smokin' Aces - "Copa de la Diversión"
Monday marked the unveiling of all 72 teams participating in "Copa de la Diversión." Reno is one of those clubs. 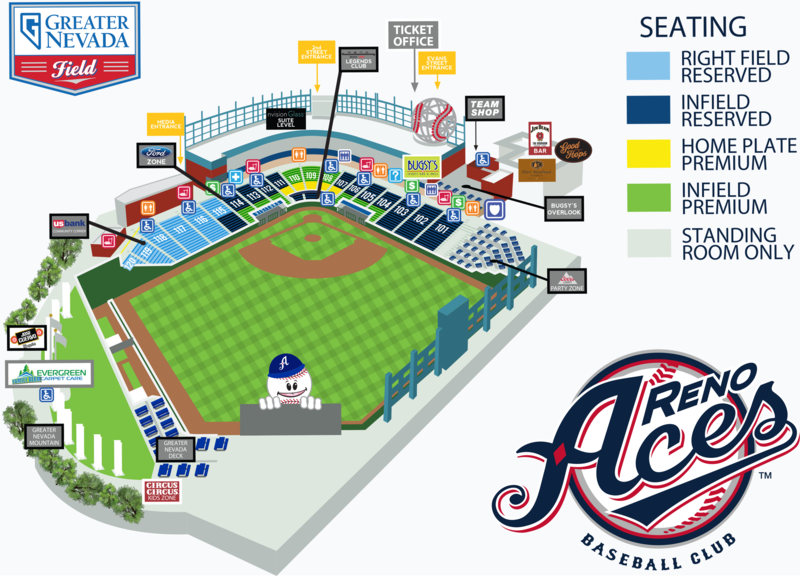 For four games in 2019, the Aces will play as Los Corazones de Reno in support of Minor League Baseball's initiative to engage and entertain the expanding LatinX baseball community. More than 78 percent of MiLB's 2019 schedule will feature at least one "Fun Cup" game a day. 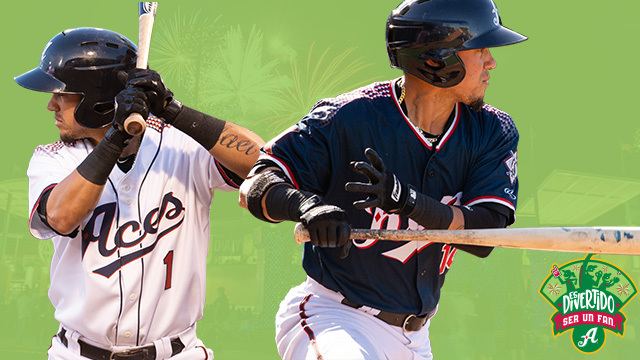 The Aces will play as the Corazones on Saturday, May 11, Thursday, June 20, Thursday, July 18, and Thursday, August 15. Considering the announcement, there is not a better time to highlight some of the Latin talents that will likely be in Reno this season. We've talked a lot about Ildemaro Vargas ('16-'18) this spring, but he's truly deserved the attention. In 18 games played, the Venezuelan product is leading the Diamondbacks in qualified batting average with a .391 mark. The number is good for third in all of Spring Training baseball. He also is tied for the team lead in runs scored (6), and second in RBIs (10). Losing Vargas would hurt the Aces, but the switch-hitting utility infielder is really forcing the D-backs hand. For a team hurting for offense, Vargas could provide a spark in the lineup. In 286 games played in Triple-A, the 27-year-old has a .318 career average with 200 runs scored, 79 doubles, 80 walks and a .363 on-base percentage. Is that good? It's certainly not bad. Vargas got a small taste of the Major Leagues the past two seasons appearing in 26 games while batting .250. He hit his first Major League home run came Sep. 30 against the San Diego Padres. If Vargas does end up sticking with D-backs, it will break up the slick double-play combo Aces fans enjoyed a season ago. Him and Juniel Querecuto ('17, '18) were definitely a sight to see up the middle in 2018. We will most likely see Querecuto in Reno again in 2019. The Venezuelan product is mostly known for his glove and can play three positions in the infield. He has over 150 career games played at both second and third base with over 400 games played at shortstop. The sure-handed Querecuto made just seven errors in 114 games played last season. As a bonus, things also clicked for the 5-foot-9 switch-hitter at the plate. In 68 games with the Aces, he hit .315 with a .359 on-base percentage. He has carried some of that hitting success to the Cactus League this year with a .308 batting average in 14 games played. Who will Querecuto's new double-play partner be? Most likely Dominican Republic product Domingo Leyba ('19) to start the season. Leyba is the D-backs No. 24 prospect according to Baseball America. He came over in a three-team deal that also brought Robbie Ray to the D-backs from the Detroit Tigers in December of 2014. However, scouts have found it a little difficult to evaluate him to this point as he missed most of 2017 with a shoulder injury that required surgery. He came back in 2018 and played 83 games with Double-A Jackson where he compiled a .269 average, five home runs, 43 runs, and 30 RBIs. Another Dominican product that will make an impact for the Aces is right-handed pitcher Joel Payamps ('17, '18). Payamps turned a corner last year with Double-A Jackson going 9-4 with a 2.90 ERA in 90 innings pitched. However, struggled in Triple-A Reno going 0-4 with a 7.18 ERA in 26 1/3 innings pitched. To Payamps defense, he was called up in August, a tough time to pitch in the Pacific Coast League. He averaged more than a strikeout an inning last year and is expected to bounce back accordingly after earning a more established role this year in Triple-A. Lastly, out of Cuba, Yasmany Tomás ('15, '18) will likely be big part of the Aces' offensive attack this season. In 2018, he hit 14 home runs with 22 doubles in 355 at-bats. Pretty good power numbers but he's got to get on base more this season. His on-base percentage was just .280 last year. He's still competing for a role at first base with the Diamondbacks in 2019, with the bat being his best asset. In Spring Training, he's hitting .448 so far in 15 games with five doubles, seven RBIs and is reaching base at a .467 mark. Yoan López (Cuba), Bo Takahashi (Brazil) and Emilio Vargas (Dominican Republic) are three pitchers to keep an eye on that could eventually make an impact in Reno as the season moves forward.